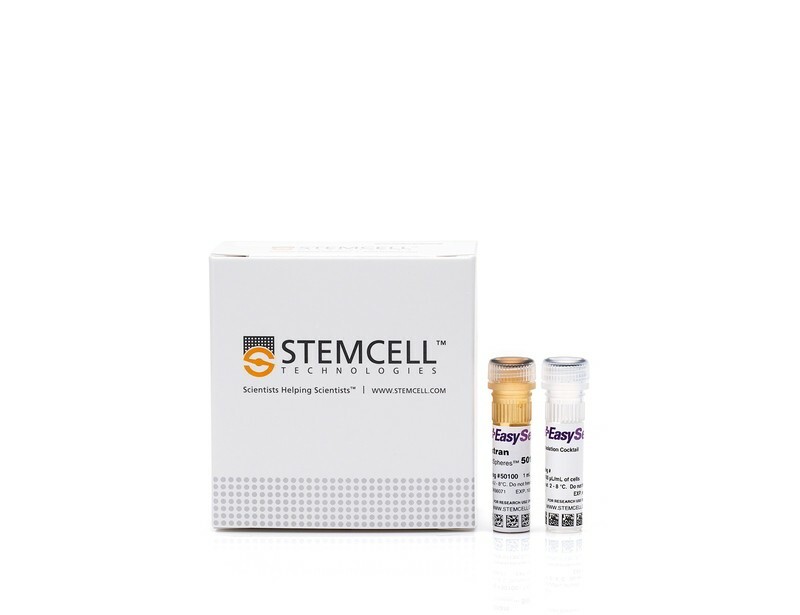 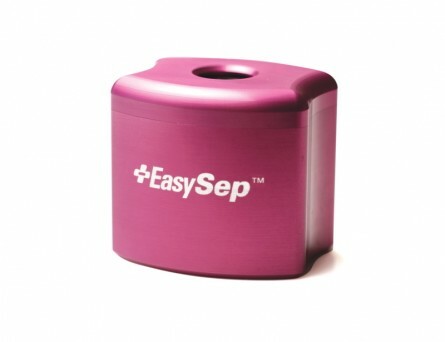 The EasySep™ Human CD3 Positive Selection Kit II is designed to isolate CD3+ cells from fresh or previously frozen peripheral blood mononuclear cells by positive selection. 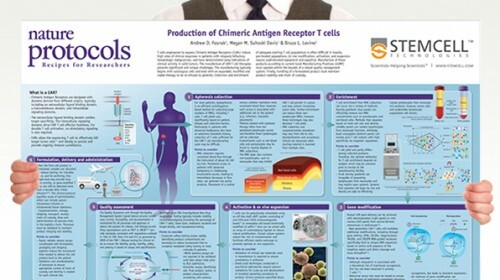 Desired cells are targeted with Tetrameric Antibody Complexes recognizing CD3 and dextran-coated magnetic particles. 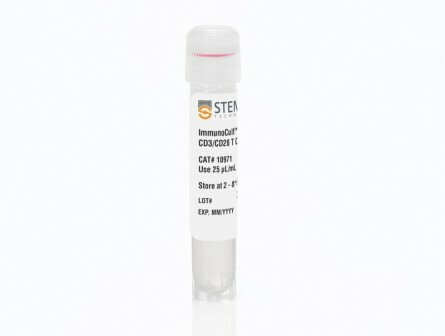 The cocktail also contains an antibody to human Fc receptor to minimize nonspecific binding. 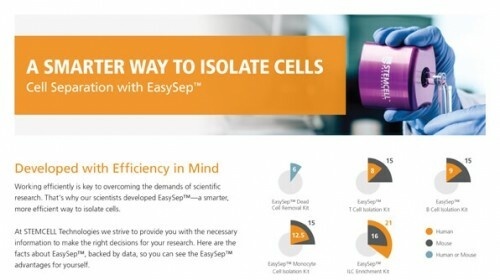 Labeled cells are separated using an EasySep™ magnet without the use of columns. 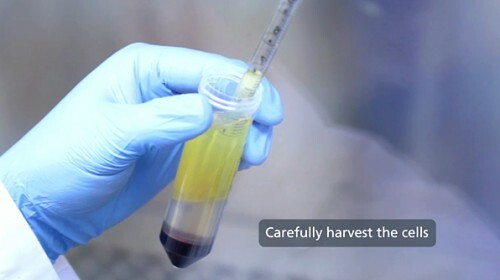 Cells of interest remain in the tube while unwanted cells are poured off. 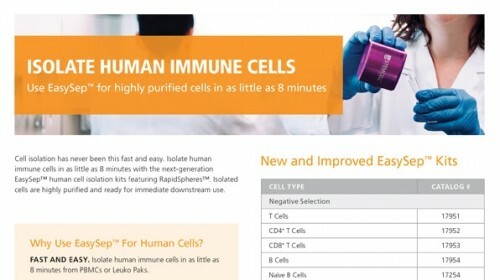 The CD3 antigen is expressed on all T cells and CD56+ NKT cells. 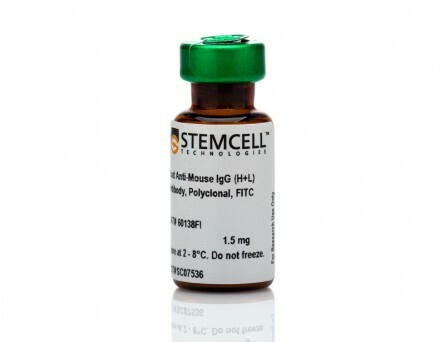 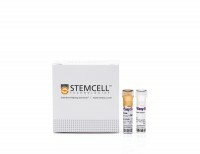 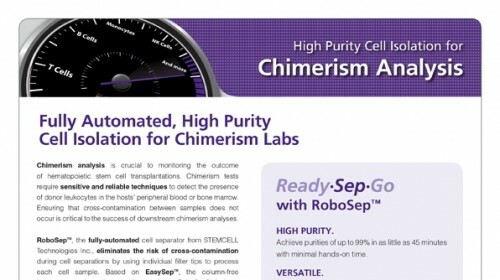 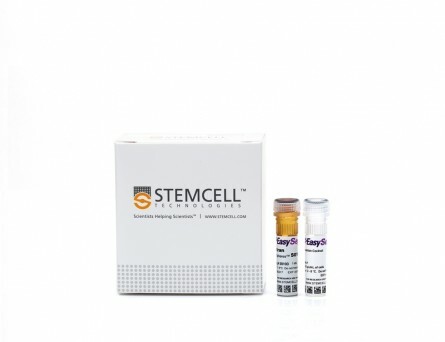 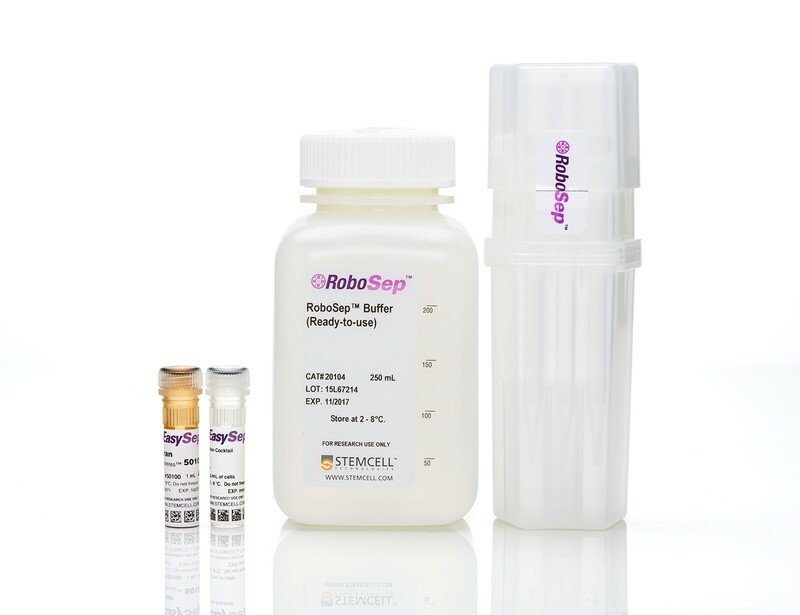 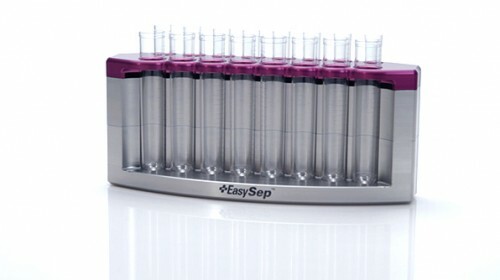 This product replaces the EasySep™ Human CD3 Positive Selection Kit (Catalog #18051) for even faster cell isolations. 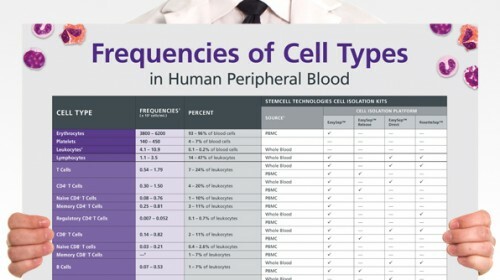 Starting with a single cell suspension of human PBMCs, the CD3+ cell content of the isolated fraction is typically 99.2 ± 0.2% (mean ± SD using the purple EasySep™ Magnet). 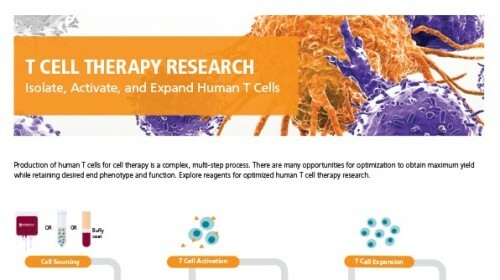 BiHC, a T-Cell-Engaging Bispecific Recombinant Antibody, Has Potent Cytotoxic Activity Against Her2 Tumor Cells. 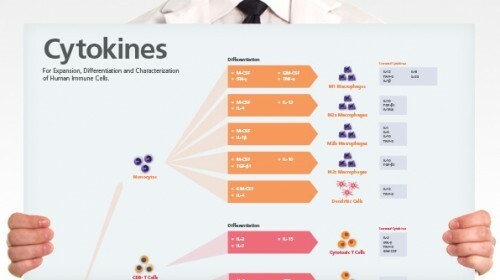 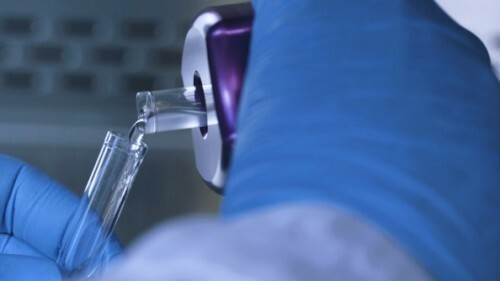 Among different cancer immunotherapy approaches, bispecific antibodies (BsAbs) are of great interest due to their ability to recruit immune cells to kill tumor cells directly. 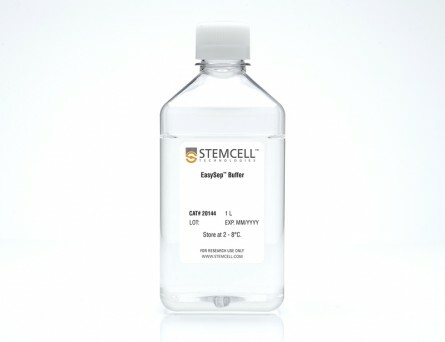 Various BsAbs against Her2 tumor cells have been proposed with potent cytotoxic activities. 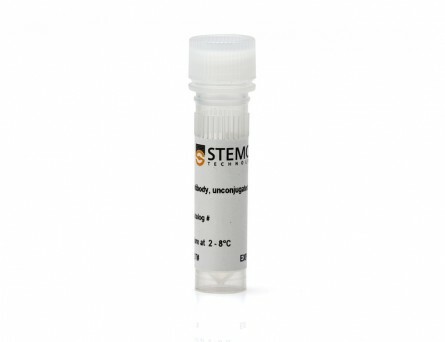 However, most of these formats require extensive processing to obtain heterodimeric bispecific antibodies. 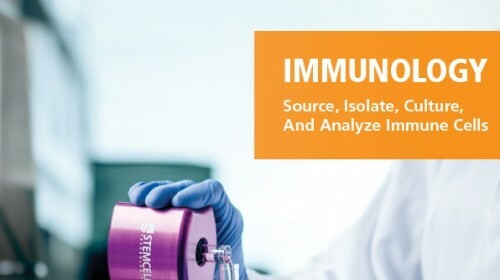 In this study, we describe a bispecific antibody, BiHC (bispecific Her2-CD3 antibody), constructed with a single-domain anti-Her2 and a single-chain Fv (variable fragment) of anti-CD3 in an IgG-like format. 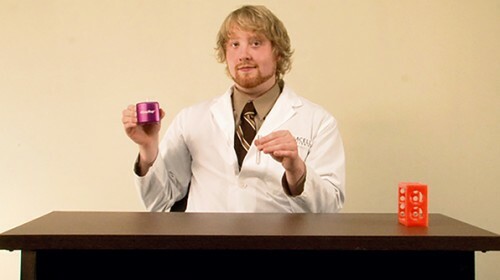 In contrast to most IgG-like BsAbs, the two arms in BiHC have different molecular weights, making it easier to separate hetero- or homodimers. 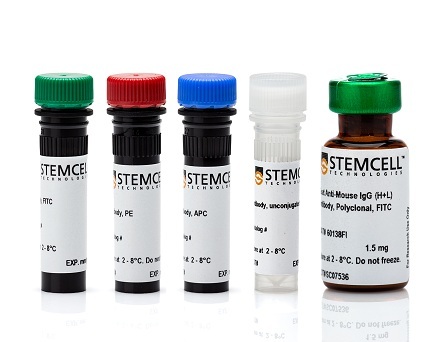 BiHC can be expressed in Escherichia coli and purified via Protein A affinity chromatography. 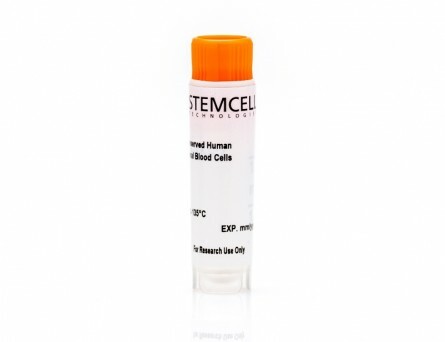 The purified BiHC can recruit T cells and induce specific cytotoxicity of Her2-expressing tumor cells in vitro. 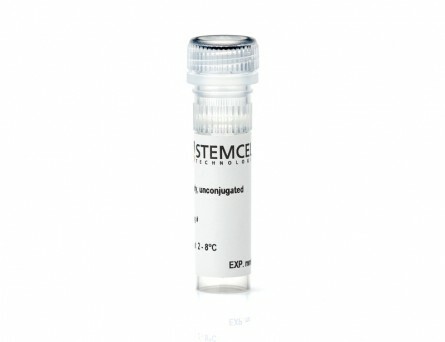 The BiHC can also efficiently inhibit the tumor growth in vivo. 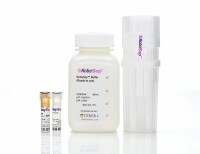 Thus, BiHC is a promising candidate for the treatment of Her2-positive cancers.